25th and 26th April 2017 – Leicester – This course is held in both Birmingham and Leicester through-out the year. To book this date or to see alternative dates scroll to the bottom of this page. Action Centred Leadership for the Team Leader is a highly interactive course wh ich combines short bursts of theory with hands-on leadership activities, designed specifically to challenge and bring the theory to life. Practice and feedback takes place in a supportive and non-threatening environment, allowing you to evaluate your own performance both as a leader and as a member of the team. This course is designed especially for team leaders, first line managers, section leaders and junior managers. It is also suitable for people who are about to take on their first management or leadership role, as well as those who may have been in a managerial role for some time but have received little or no formal training. 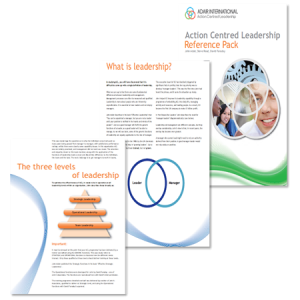 Alison Hodson is an Accredited Action Centred Leadership Trainer. She is the only registered Trainer delivering to the voluntary sector. All candidates will recieve an electronic ACL Guidance Pack with further information and case studies.